Conference on Make in India- Opportunities in Food Processing Sector was attended by CMA delegates. 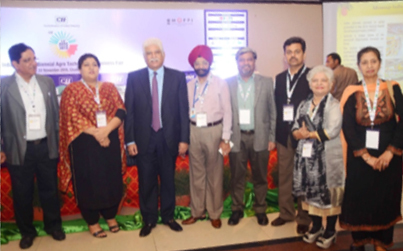 We had an opportunity to meet Mr. Rakesh Bharti Mittal, Vice President, CII and Vice Chairman, Bharti Enterprises Ltd.
Make in India” conference aimed to facilitate investment, foster innovation, enhance skill development and to create a world class manufacturing infrastructure in India. The conference will focus on newer innovations and technologies in both the agriculture sector and food & beverage industry.